Cynthia Marver Marmer, along with her late husband Bob Marver, helped to establish the Cincinnati Chapter of JDRF in the 1970's. 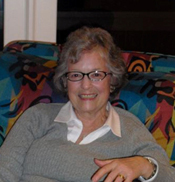 Her devoted commitment to funding the JDRF mission was evidenced in the many ways she contributed to the chapter over the years. She worked tirelessly on past Cincinnatian of the Year Galas by helping with the auction committee, established a new annual fundraiser at Barnes and Noble, hosted a Walk Team - Grace's Groovy Gang, and wrote personal acknowledgements for every honorarium and memorial donation to the chapter. Cynthia also attended Promise to Remember Me meetings and represented JDRF at many health fairs. Cynthia's passionate and steadfast commitment to our JDRF chapter, with support from her husband Mel Marmer, was an inspiration to everyone who knew her. Cynthia was a loving mother of five children and grandmother of eight, including one with Type 1 diabetes. She was also a devoted stepmother and grandmother to Mel’s kids. Nothing was more important to her than her family and her desire to find a cure. On many occasions, she stated that she didn’t want to leave this earth until a cure for diabetes was discovered. Cynthia was an avid fan of Broadway musicals, particularly Les Miz, which she saw more than 40 times. Thus, the theme of this year’s Gala is quite appropriate. Help us fulfill Cynthia’s dream, and honor her legacy, by making a donation in her honor below.